DAF Trucks at IAA 2016 in Hanover - DAF Trucks N.V.
‘DAF Transport Efficiency’ is DAF’s overall theme at IAA 2016 - which is being held in Hanover from 22 till 29 September. DAF Trucks is exhibiting its full, industry-leading product and services range. DAF offers the most efficient total transport solutions with the highest return per kilometer. The new and innovative DAF Connect fleet management system optimizes fleet and driver performance and enhances logistic efficiency. Innovations to the reliable and efficient PACCAR PX-5 and PX-7 engines in the popular LF and CF distribution trucks provide the perfect balance of power, torque and fuel efficiency. 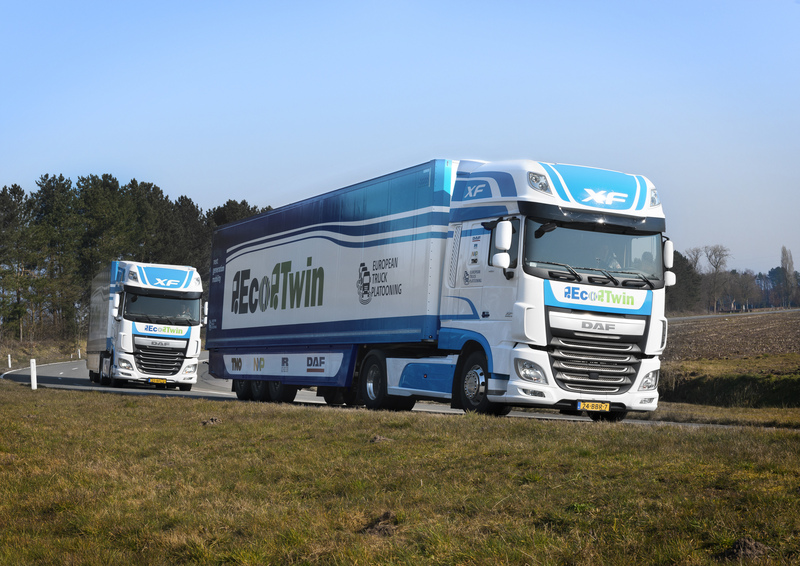 DAF Transport Efficiency showcases the company’s heritage in providing lowest operating cost and highest fuel economy. 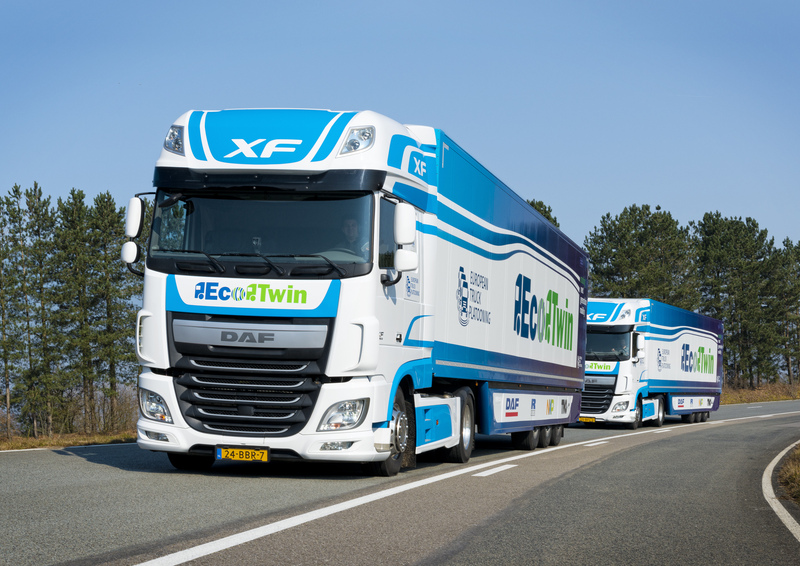 DAF is further demonstrating its commitment to environmental and fuel economy leadership with its Innovation truck. The DAF stand will be located in Hall 17 of the exhibition complex. Occupying an area of 2,500 m2, it will showcase the complete product range, setting the standard in quality, low operating cost and vehicle performance. The DAF trucks on display include the LF for distribution transport, the versatile CF for a wide variety of applications and the flagship XF for heavy and long distance transport. To highlight the importance that DAF and its 1,000 sales and service dealers attach to a full range of services to support their class leading products, PACCAR Financial, PacLease, PACCAR Parts, TRP and DAF MultiSupport Repair and Maintenance are presented prominently at the DAF IAA stand. At the IAA DAF is launching DAF Connect, an innovative fleet management system, offering the operator real-time information on the performance of his vehicles and drivers. Information on vehicle location, fuel consumption, mileage, fleet utilization and idle time are clearly presented in an on-line dashboard, which can be tailored to customer requirements. The user-friendly dashboard can be configured to provide comprehensive fuel reports with current and historical data that compares the fleet’s vehicles and drivers. The Live Fleet View feature provides all the information needed about the location of the fleet in order to enable optimal planning including distances, routes and driving time for the vehicle and driver. Operators receive self-defined alerts when deviations occur in areas like speed, route, location and fuel consumption so they can immediately improve fleet performance. 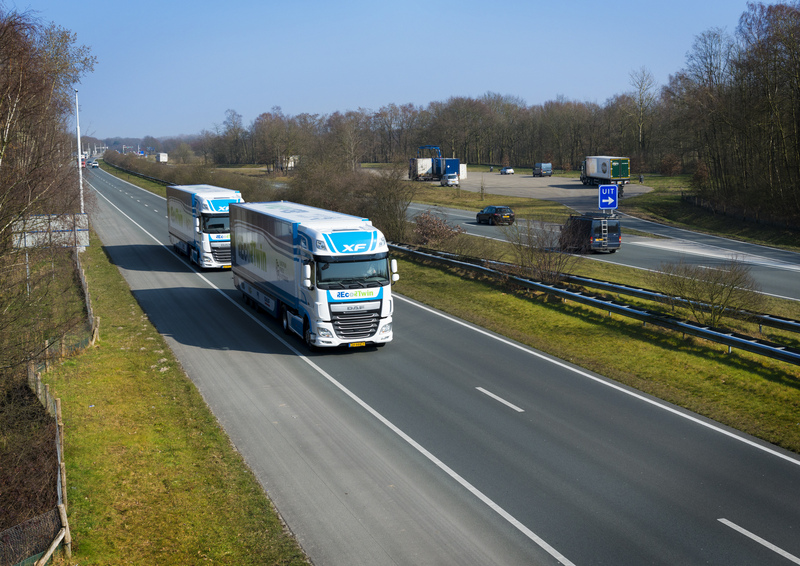 DAF Connect optimizes vehicle availability, reduces operational cost and enhances logistical efficiency. DAF Connect also allows the transport operator to effectively plan repair & maintenance and take advantage of tailor-made advice by DAF using DAF Connect. 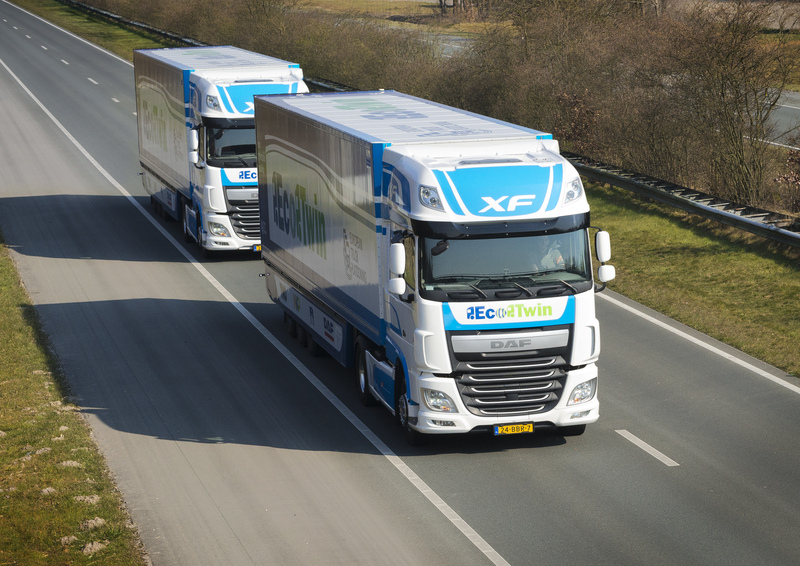 “With DAF Connect we are entering a new era of supporting our customers to achieve the highest profitability per kilometer”, commented Richard Zink, DAF Trucks’ Director Marketing & Sales. 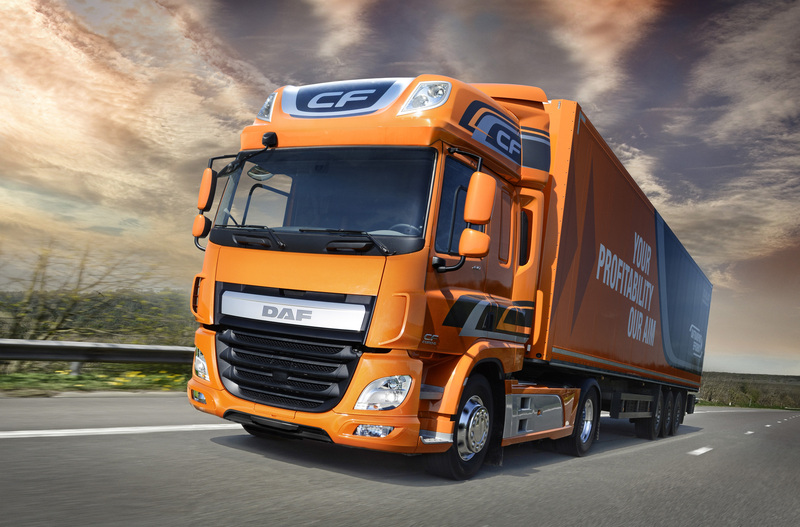 As part of the DAF Transport Efficiency philosophy, DAF is introducing innovations to the successful DAF LF and CF distribution trucks with PACCAR PX engines. Higher torque at lower revs contributes to enhanced driver comfort and better fuel efficiency. These engine enhancements in combination with the new, faster drivelines reduce engine revolutions up to 300 rpm at a cruising speed of 85 km/h and provides up to 4% better fuel efficiency. New software and optimized heat and air management for the efficient and reliable 4.5 litre PACCAR PX-5 and 6.7 litre PACCAR PX-7 engines have increased torque by up to 12%. Maximum torque of the 4 cylinder PACCAR PX-5 engine in the DAF LF series now goes up to 850 Nm at 1,200 – 1,500 rpm, and for the PACCAR PX-7 engine in the DAF LF and CF, torque reaches 1,200 Nm at 1,100 – 1,700 rpm. To underline DAF’s aim to further strengthen its industry leading position in fuel efficiency and low CO2 emissions, one of DAF’s Innovation trucks has a prominent position at the DAF IAA stand. Twenty years ago, DAF Trucks became part of PACCAR, one of the largest truck manufacturers in the world. A global success story was born. 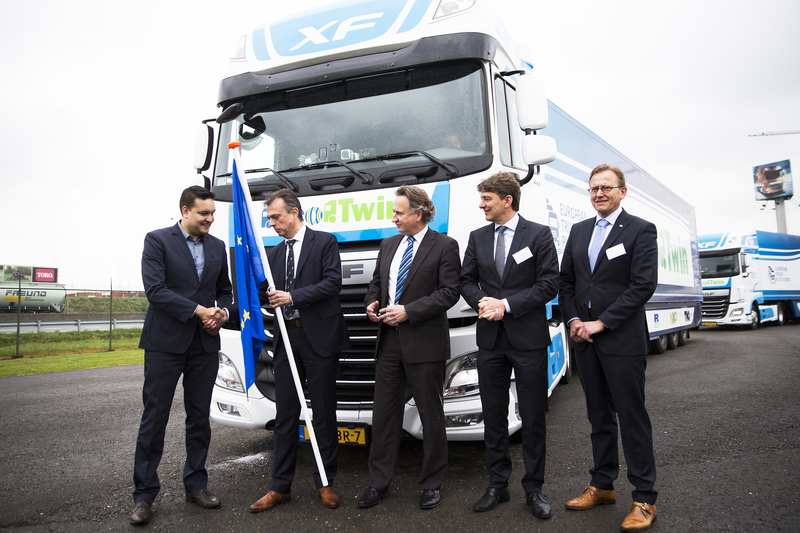 The impressive investments during the last two decades include new trucks and engines and a state-of-the-art engine test center in Eindhoven. These and other investments strengthen DAF’s leading position in the development of clean, reliable and highly efficient vehicles. New PACCAR Distribution Centers in Hungary, The Netherlands and Russia guarantee customers immediate supply for after-market parts. In Westerlo, Belgium, a completely new cab paint shop is being built, which will be the most advanced and environmentally friendly of its kind when opened in 2017. In Europe, DAF is the fastest growing and one of the most successful truck manufacturers. Market share in the heavy segment has been increased from 9% in 1996 to 16% in the first half of this year, with market leadership in the heavy tractor segment. DAF’s success is also expanding outside Europe. In South America, Russia, Africa and Asia, the quality and efficiency of DAF trucks is highly appreciated. DAF is the market leader in Israel and the number 1 European brand in Taiwan. DAF opened sales subsidiaries in Russia and Turkey to grow in those markets. In Brazil a new DAF manufacturing plant was built.